We have 3 workshops lined up for Do Din! Discovering a city neighbourhood: Most of the times people only know the typical “touristic” information about a particular city or the locality they live in. Information and knowledge about one’s own neighbourhood is one of the first steps towards developing that sense of belongingness and pride for it. Does this translate into better planning and upkeep? Does it result in better civic amenities, social bonding and security for the locality? This workshop is an attempt to discover, understand and document some key miles stones in the growth of a Khairtabad as one of the central and important constituent of this vast city fabric. Join us in discovering a new Khairtabad! Please RSVP on the facebook event, click here. This workshop is open to all! School and college students are especially invited! 20th December 2014. The Walkabout is scheduled from 7.30 am to 9.30 am, starting at Vidyaranya School, i.e. the Do Din venue. The Workshop will follow on returning the Do Din venue! 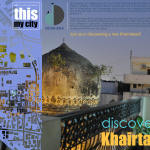 Discovering Khairatabad is anchored by Architecture and Design Foundation of India. December 20th – 1st Session from 10 am to 12 pm – 2nd Session from 1.30 pm to 3.30 pm. Intake for this workshop is limited! Please register here – http://goo.gl/forms/ZzZJbKwNCj – now! In light of the Swacch Bharat Mission, talk of open defecation, clean cities and public toilet infrastructures has seemingly entered the mainstream discourse. But public toilets have been constructed for several years now and a variety of models have been tried to attain optimal results. The issue remains salient, though, due to a conjunction of inadequate (leave aside non-optimal) infrastructures and certain engrained attitudes towards sanitation. Not only are public toilets sparsely distributed, they are poorly distributed. Not only are they badly designed, they are unjustly designed. Not only are they poorly governed & regulated, they evidently are not at all regulated. Not only do they not attract users, they deter them. This makes one wonder what kind of thought is put into designing/constructing/operating public toilets? 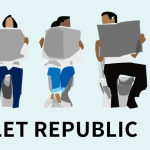 Toilet Republic, a workshop at Do Din 2014, seeks to bring together citizens and provoke them to think about public toilets. Why are they important? How have they been built and operated so far and what have been the problems? What would it take to come up with a feasible design? What will have to be the considerations and what resources will be needed? 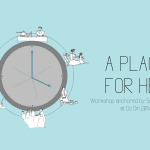 Rajib Ghosh of D-Labs and Arvind Lodaya will be the anchors for this workshop. Both of them are accomplished designers who are passionate about finding innovative solutions for tough problems and to improve quality of life.